Internet Gaming and Sports Betting Info | What's Hot & What's Not In Online Gambling and Sports Betting in the USA! Internet gambling is a great convenience for many players because you don’t have to take a trip to a “brick and mortar” casino which could be quite a long distance away and take several hours of time. For some, this may involve a “day trip” or even a multi-day vacation several states away. With gaming sites available online, you just need to have an internet connection and an internet enabled device. 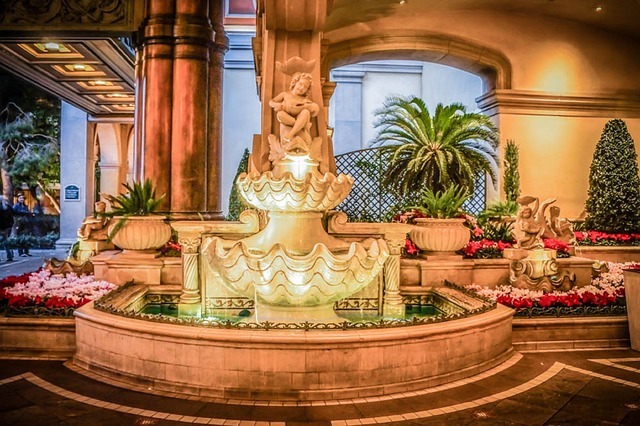 Jump on the digital highway, play a few hands of online poker, take a tug at the slot machines through your laptop for thirty minutes, or go through a shoe or two at a virtual blackjack table on your smart phone then be on your way. Multitudes of websites offer such internet gaming and it is left up to you decide which one best for you. The passing of the UIGEA several years ago put a damper on internet gaming for United States residents because it made it very difficult (if not impossible) for people to transfer money to and from internet gambling sites at the time, and because most Americans thought that it meant it was illegal to gamble online. I am not a lawyer, but from what I have read, the UIGEA was aimed at penalizing financial institutions for knowingly transferring funds to or from gambling sites – it was not aimed at penalizing the players. The big players like Visa, MasterCard, PayPal and many others stopped allowing U.S. residents to utilize their institutions to transfer money to the online casinos so the online gamblers were left high and dry. And, in many cases, with funds in those online casino sites and no way of getting the money back out. In fact, it took me nearly two years to get my money out of PokerStars – it wasn’t much but it was my money and I wanted it back. Now, things are changing – there are several ways of getting your money transferred to and from online gambling sites operated on foreign soil. Many states in America are starting to offer internet gaming to residents of their state. One of the most popular avenues for internet gambling is online sports betting. When considering what sports booking sites or betting systems to use, like any other form of investment, risk taking, or gambling, you should do proper research. This site is aimed towards aiding you in that research by providing answers to common questions regarding online gambling; and hopefully, to provide helpful suggestions / recommendations. 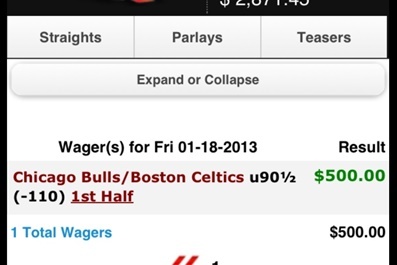 I want to use bookmaker to mostly bet on sports. Can I use my Visa card to make a deposit and make a bank wire withdrawal. What betting sites would u recommend to me? There is no specific state law against online gambling in Virginia, but there is an ambiguous federal law that attempts to outlaw online gambling, but does not define what “illegal online gambling is”! This law was created in an attempt to convert the US banking system into a law enforcement entity, which they are not. I am not a lawyer, but there are dozens of people I personally know that bet sports online and have never had a problem. 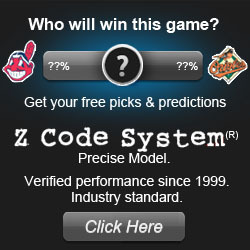 If you are looking for a winning edge in sports betting, check out the Z-Code System. It was designed and developed to provide winning sports predictions in horse racing, MLB, NBA, NCAAB, NCAAL, NCAAF, NFL, NHL, Soccer, and the WNBA! Winning Picks and Predictions With The ZCode System! Listen to this ZCode System Podcast Interviewing a famous ex-NHL Hockey Legend… who is also uses the ZCode System! Play for money, or play for free – http://intertops.com has been online since 1998. Since launching their free-play betting competition in 1998, thousands have played for points and more than USD $769,000.00 has been paid out to lucky winners worldwide. Sportsbook; Daily Cash Back Rewards; Live Betting ‘All Game Long'; Rebates and fast, free payouts! http://www.betdsi.com also has a online casino and poker room available. Is Internet Poker, legal in the USA? Is internet gambling like PokerStars and Party Poker legal in the USA? There is good news to report (or bad news depending on your perspective) on this front… As many as 9 states in the US have or will soon have online gaming available for the residents of their state. New Jersey is the first state to fully legalize online gambling. Mega-entrepreneur Richard Branson’s Virgin Group teamed with the Tropicana Resort in Atlantic City and Online game maker Gamesys to bring slots and other online casino games to New Jersey. 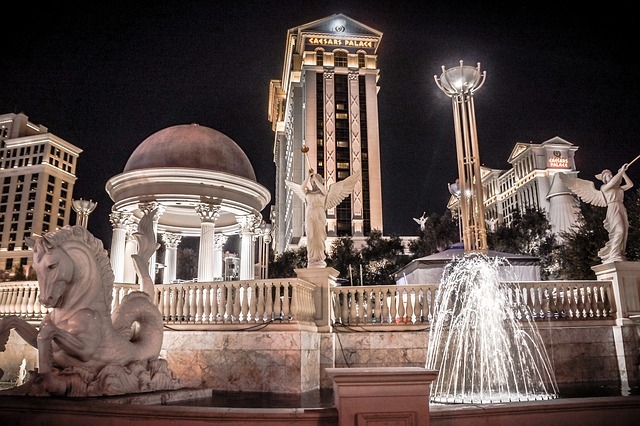 Source: Cybergambling returns — and this time it’s legal. “PokerStars” © and “Party Poker” © no longer accept customers from the United States but something equivalent is avaible for the residents of the states that have legalized online gaming. I’m sure that more states will follow suit but it will take time. 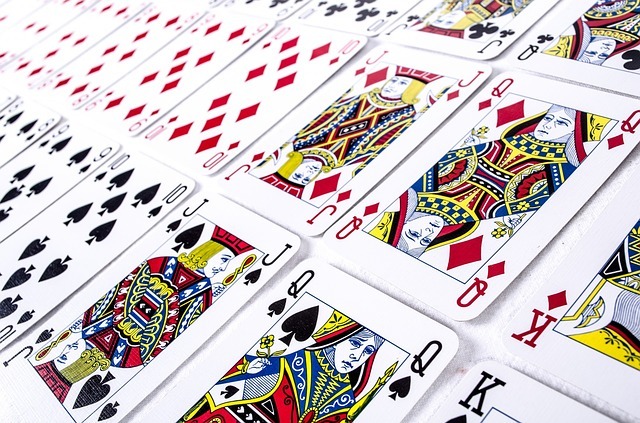 Can I recoup money spent at online casinos by my son? My son has recently become a gambling addict, mainly internet gambling. I have bailed him out of trouble due to this way too many times, and it has cost me tens of thousands of dollars, I thought i was helping. At this point, he has drained my bank accounts and actually put them into the negative (again thousands) before I even knew what was going on. To top it off, I just got a letter from a lawyer attempting to collect a $20,000 debt for one of my bank accounts. Is there anything that can be done to recoup any of the money that was spent at these online casinos without pressing charges or any major repercussions against my son. From the little bit of research I have done, it appears that the casinos technically were breaking US laws by accepting the wagers from the US and more specifically a NY resident. Judy, this is a rough situation to be in. I’m not going to sugar-coat it – it is highly unlikely that you could recover any money from the online casinos. You need to consider closing your bank accounts, opening new ones and making certain your son cannot gain access to your new bank accounts. Your son needs help. But, it probably won’t do much good until he recognizes that he has a problem (e.g. an addiction). When he is ready to face his problem and get help, there are many resources available – he should do a search for help with gambling addiction. In the mean time, you should also consider getting some books on the topic and start reading up on how to help him when he is ready for the help. Did the UIGEA outlaw Online Gambling in the US? 1) Prior to the passing of the Unlawful Internet Gambling Enforcement Act (UIGEA) of 2006, eleven states had laws on the books that specifically banned all forms of online gambling. Those states are: IL, IN, LA, MI, NJ, NV, NY, OR, SD, WA, and WI. Online gambling continues to be considered illegal in these states. 2) The Act actually did nothing to alter, curtail, or extend state laws regarding online gambling. Thus, it did not make online gambling illegal in all states. 3) What The UIGEA did is place restrictions on the financial transactions that occur in connection with online gambling; it restricts electronic fund transfers and the use of credit cards in connection with such wagering. This means that players can no longer make wagers, or collect winnings using electronic fund transfers, credit or debit cards, or some other online payment systems. These lists are updated daily as gaming sites establish and publish their policy with respect to US-based real-money players. Is it illegal to gamble online in Missouri? Can I play Texas hold em online for money in the state of Missouri? Do I have to pay taxes? There is NO federal law that makes the act of playing poker online with an offshore gaming site illegal. The only federal law that addresses gambling is the wire act from the 1960’s which makes it illegal to place wagers via the telephone. The US government did pass a federal port security law and tacked on provisions (the “UIGEA”) that makes it illegal for banks, not players, to fund or accept payment from “illegal” gaming sources. The only problem (for the government) is that there are dozens of third party methods available for funding and no way to trace ACH credits. Another problem for the DOJ is that they qualified the online gambling statement with “illegal online gambling” yet failed to define “illegal online gambling”. There is no law that speaks to online gambling so UIGEA refers to no specific activity. In other words, the new provisions are only for show, a meager attempt to turn the banks into law enforcement agencies, and the end result is a waste of ink. I still use my VISA check card and e-check on my favorite sites. Online gaming will be impossible to completely eliminate from the US. The offshore gaming sites contend that since the wagers are being placed on their servers, the actual wagering is occurring outside of the USA. Thus, making the enforcement of any anti-gaming legislation impossible. The best they (the US Govt.) can do is make it inconvenient, and they did. The only states with laws directed towards online wagering at this time are Illinois, Indiana, Louisiana, Michigan, New Jersey, Nevada, New York, Oregon, South Dakota, Washington, and Wisconsin. Although these states do have specific laws pertaining to online gaming, there has not been any charges laid and those laws are vague and currently being challenged. Missouri is not in the list of states with laws directed towards online gambling and, as mentioned above, there is technically NO federal law prohibiting Missouri residents (or any other state’s residents) from gambling online so the answer is – No, it is not illegal; and Yes, you may play Texas hold-em online for money in the state of Missouri. As far as taxes are concerned, while you are obligated to report your worldwide income, you can subtract any losses incurred. You bank will not report any activity that is in lower dollar amounts, usually below $5K. The onus (burden) is entirely on you to decide whether or not you claim your internet gambling income on your tax filing, but you are much more likely to be prosecuted for not paying taxes than for playing poker. You can get free poker tips, casino game tutorials, casino game tips, and independent reviews of only highly reputable poker sites at http://GamblingReviewsSite.com/pokertips. The recommended sites all offer top customer service, security, and fast/free payouts. Do you have any tips on internet gambling? · This actually applies to all forms of gambling... Only bet (spend) what you can afford to lose. Gambling is risky. You can lower the odds that you will lose or raise the odds that you will win but there is always the possibility that you will lose. You have to be able to literally say "Oh Well, No Big Deal" after you lose and walk away (at least for the time being) without it severely impacting you emotionally or financially. Look at it another way - Let's say you are going to go on a date and you expect to spend $100 that evening (I know... cheap date, eh? LOL). You expected to spend that $100 and when you go home at the end of the evening, that $100 was spent (maybe even a little more). When you gamble, you expect to spend $100 and, when it is gone, your expectation was met. You go into it with that attitude and you won't be severely disappointed that you lost and you will be pleasantly surprised if you have more than $100 when you stop gambling. · Set a limit on both your acceptable loss (low) and your profits (high). Know when to walk away. If you are losing and the loss goes below your low limit, walk away without hesitation. Correspondingly, when you have reached a certain preset amount of profit, you should consider walking away. Why? No matter how much we want to believe that we can't lose or the lucky streak will never end - it will. And trust me when I tell you that when you have won a certain amount but start losing again, you will keep playing to try and get back to that level of profit you were at once again... unless you learn to stop while you are ahead. Constantly reevaluate that low and reset it when necessary. For example, let's say that your original high and low was a profit of $200 (plus) and a loss of $100 (negative) respectively. While playing, you hit a jackpot and are already profiting by $500 now. That is now $600 more than your original acceptable low of losing $100, and $300 more than your original profit ceiling (high). I mentioned (above) that you should consider walking away but you considered it and don't want to walk away. Then, you should change your low and high limits to something like a low of +$250 and a high of +$750. Now, here is the kicker - it is OK to keep playing, keep reevaluating, and keep changing your limits when you are winning. It is NOT OK to keep changing those limits when you are losing - that is a sure-fire recipe for disaster where you end up losing more than you can financially afford to lose. · Seek help if you believe you have a problem with gambling (e.g. an addiction). There are many places available that can help you and you can find those on the internet just as easily as you found the online gaming site you have been playing on. Just "Google" it! · My number one rule when gambling online or offline is - DON'T DRINK WHILE GAMBLING! Those limits you set will be gone. Your mental edge is gone. And, sooner or later, your money is gone! · Don't borrow or lend money when it comes to gambling. When the money is not yours, you don't tend to care as much and your betting habits are looser than when you are playing with your own money. You may not think that you would play anything any differently and you can tell yourself whatever you want (like "I wouldn't do that") but you do. If you don't believe me try it sometime. Play with someone who knows you well and what you would play / bet on verses what you would not - do it with a small amount that you can afford to cover when (notice I didn't say if?) you lose. When done, ask that person if they think you played any differently... you will be surprised. With your own money, you might not chase that inside straight or flush to the river while playing poker. And you wouldn't play that 7/4 when raised in the blind. With someone else's money, you will find some way of justifying it like "I had 12 outs", "The Odds Were In My Favor", or "They were suited" (my personal favorite). As a lender, pretty much count that money gone and good luck on getting it back (even if they won). Now, let me just say that I do have some friends that simply don't have the money to gamble. Every once in a while, I "loan&quot them some money because I want them to have some fun and I enjoy their companionship while playing together at the tables or slot machines but it wasn't really a loan - I never expect it back. · Don't gamble when you are emotionally down (sad or depressed) - I personally battle with depression every day and have learned (over many years) to recognize when I am depressed. Trust me when I tell you this... when you are sad or depressed, you do not care as much about losing. When you are sad or depressed, you expect to lose. And, when you lose, your expectation was met and you don't mind sinking more money into losing. Stay away from all forms of gambling when you are in a funk and, as a personal aside, alcohol really doesn't help either. Those are my three big "Do's&quot and "Don'ts&quot but there are several others that you learn as time goes by, especially "Do's&quot and "Don'ts&quot for specific games. Here is a link to some more general and game-specific "Do's and Don'ts"